Yes, another Verandah. This issue is from 2012. If I understand correctly, Verandah has a new team every year. 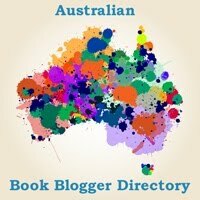 It is supported by The Deakin School of Communication and Creative Arts. In 2018 some of the team were in my classes. It’s going to be interesting to see where their careers go. The team of this particular edition attempted to raise Verandah’s profile within the artistic community. I don’t know if they managed this, but I do know that this edition has some wonderful elements. Reading through each story I came across Liliane Grace. I shouldn’t have been surprised, I attended a launch of one of her books some years ago. This story is masterfully written, full of imagery to keep you thinking. I’ve just reread half of it and I now understand it more than I did the first time. This is one of the beauties about short stories, there are no words used wastefully, words that aren’t actually necessary, words that don’t help the reader understand what the writer wants to say. And then there’s the depiction of the W-Class Tram from 1923. Melbourne has a long history of an extensive tramways network. I think our tram network is probably the largest in the world. If you’re visiting you really need to hop on a tram and see the world through those windows. I tend to tell visitors to take the tram going out of the CBD along St Kilda Road. The Floral Clock is a must see and the best (albeit brief) view is from the tram. This drawing takes me right back to my school days when I took a tram to and from school. In fact, it was a tram similar to this one that I fell off with my school bag in one hand and my cello nestled into the other arm. 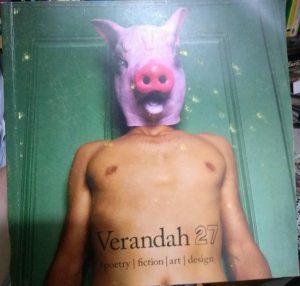 You’ll also find a decent amount of poetry in Verandah. There’s something to suit most readers. With that in mind you can visit their website here and get a subscription, perhaps even buy this edition.